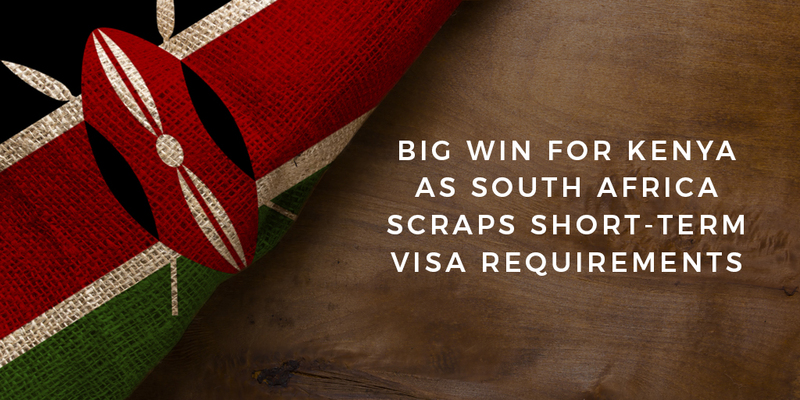 South Africa’s former visa requirements restricted Kenyans to single-entry visas. The latest developments now allow Kenyans to travel to South Africa as often as they want in the next 10 years. Kenyan business and academia community travelling to South Africa will now be issued with multiple-entry-visas valid for up to 10 years effective December 1, ending years of strain by Kenyans seeking to travel to SA. Frequent travellers will also be eligible for 3-year multiple entry visas effective. South Africa has agreed to ease visa application rules and entry conditions for the above categories following extensive deliberations between Kenya’s Cabinet Secretary for the Ministry of Interior and Coordination of National Government, Dr. Fred Matiang’i, and South Africa’s Home Affairs Minister, Malusi Gigaba, in Pretoria earlier this week. Government officials travelling on official business to South Africa will be granted three months free VISA with immediate effect. The agreement reflects the doctrine of reciprocity after Kenya set up a more responsive and straightforward online application process for short-term visas for visitors from all African countries, a move that Kenya’s President Uhuru Kenyatta envisions would foster Pan-African brotherhood and fraternity. South Africa remains a key African tourism market sources for Kenya. Technical officers from both countries have also been tasked with finding ways of reducing travel restrictions, with a view of completely removing short term (180) days) and transit visa requirements for nationals from the two countries with ordinary passports. The talks also involved Kenya’s Principal Secretary in the State Department for Immigration, Border Control and Citizen Services, Dr. Gordon Kihalangwa, Kenya’s High Commisioner to South Africa, Amb. Jean Kamau and the Ministry of Interior and Coordination of National Government. Under the new terms, Visa to South Africa may also be granted for visits to family, friends, tourism, business and spouses joining their partners working or studying in South Africa. Children will also be allowed to join parents who are in South Africa on work or study visa.